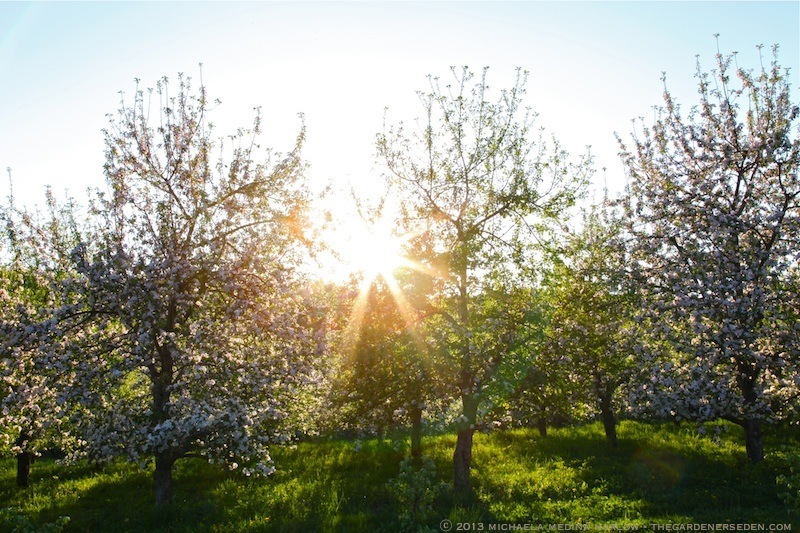 A Late Afternoon Stroll Through the Sun-Drenched Orchard at Scott Farm; Fragrant with the Sweet, Delicate Scent of Apple Blossoms . 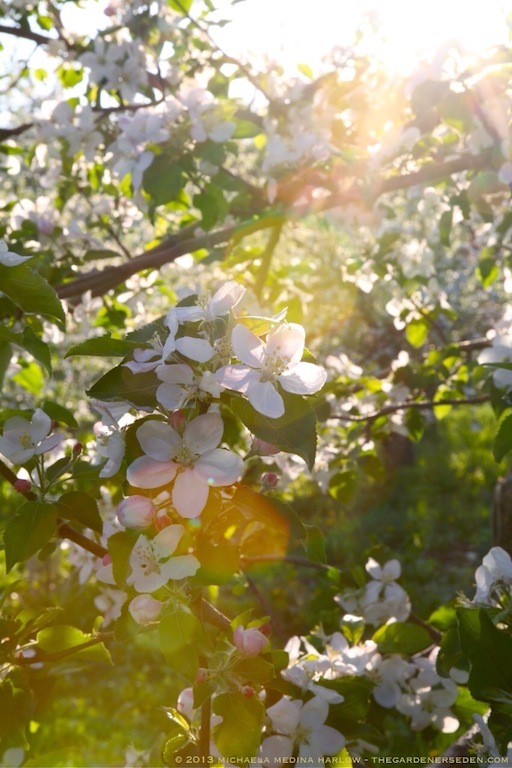 . . Seduced by the Impossibly Romantic Combination of Apple Trees in Full Bloom, Golden Light and Perfumed Air . . .
Minutes Slip and Stretch to Stolen Hours; Luxurious into Evening . 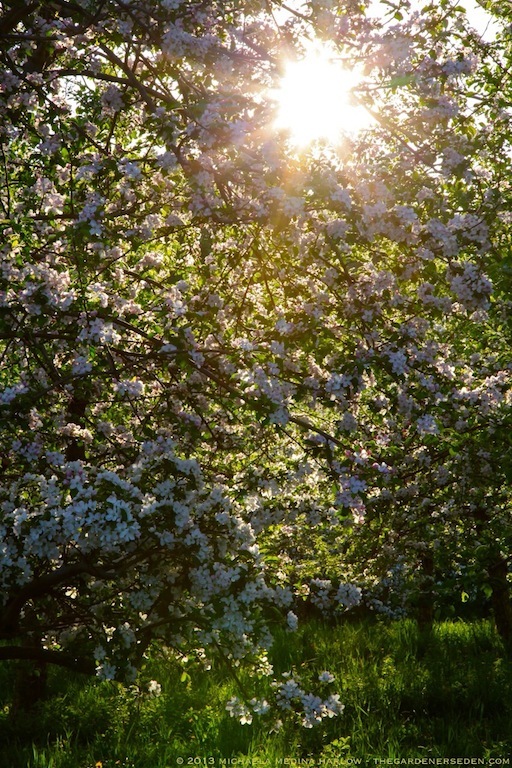 . .
As the Last Rays of Sunlight Illuminate Silken, Pastel-Pink Petals . . .
Blushing and Trembling —Chill to the Breeze— A Frenzy of Dizzy Dancing Above Dandelions . . . Soon a Twilight Chorus of Redwing Blackbirds and Bumble Bees, Rises from the Shadows . . .
A Springtime Siren-Song, Whispering on the Wind, Shaking Loose a Cascade of Wayward Petals . . . Falling Soft to Verdant, Blossom-Strewn Pathways . 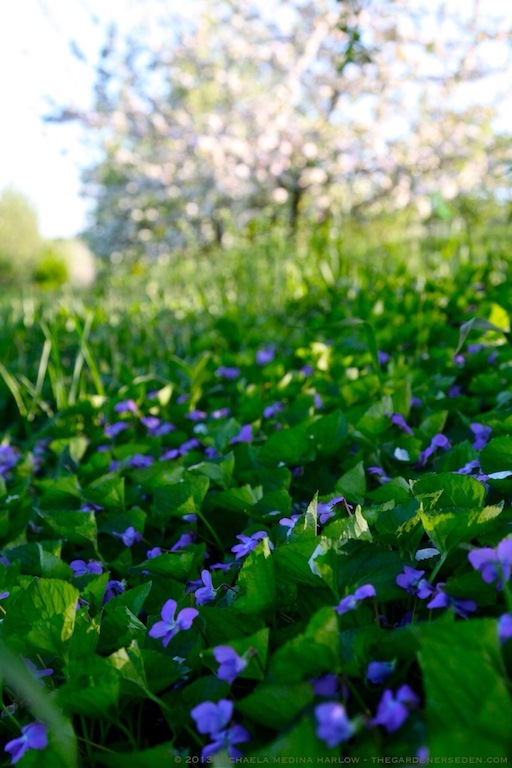 . .
And Violet-Lined Carpets . 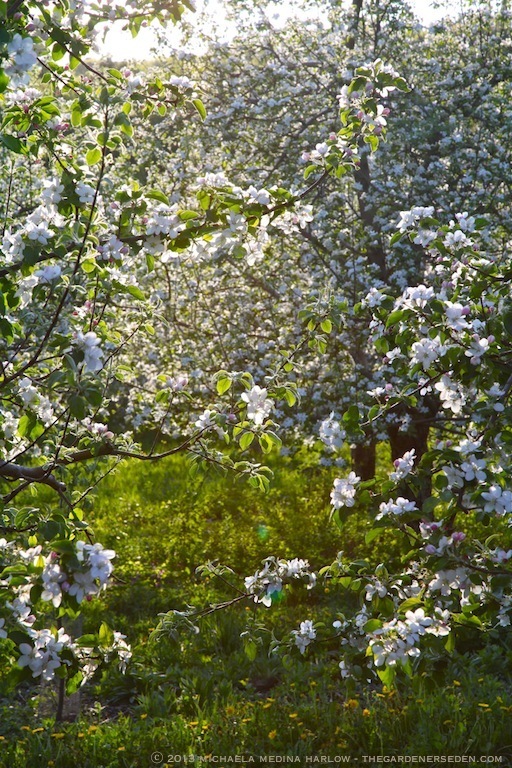 . .
Drifting off to Sweet Summer Slumber and Autumn Apple Harvest Dreams. 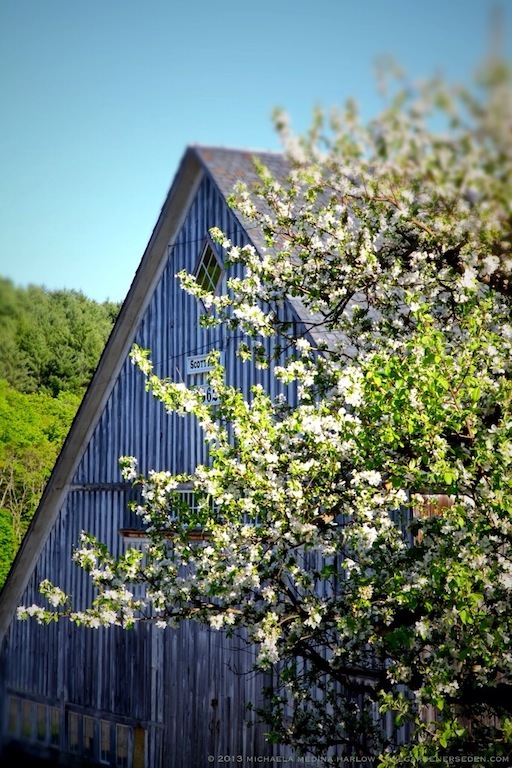 Thank you to Ezekiel Goodband, Kelly Carlin, Tristam Johnson and everyone at Scott Farm and Landmark Trust, U.S.A.
§ 2 Responses to Apple Blossom Love in the Afternoon . 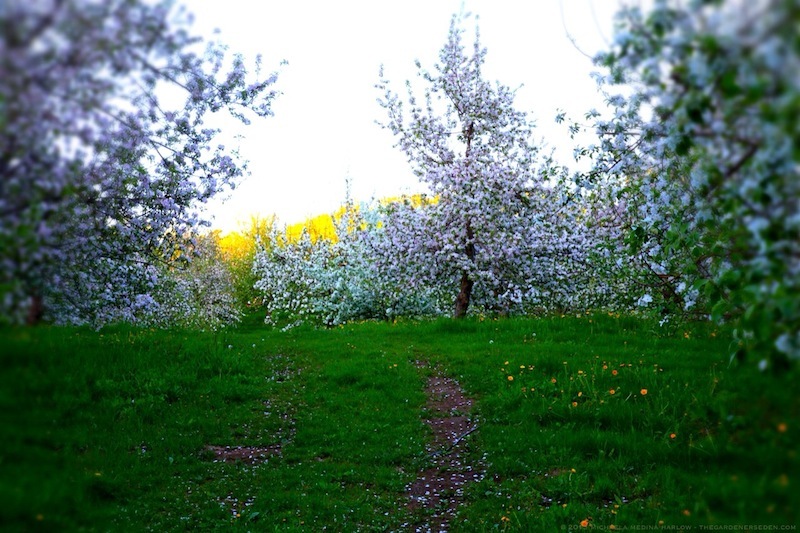 . . A Little Romance at Scott Farm Orchard"
Oh my goodness – oh my goodness! These photos! 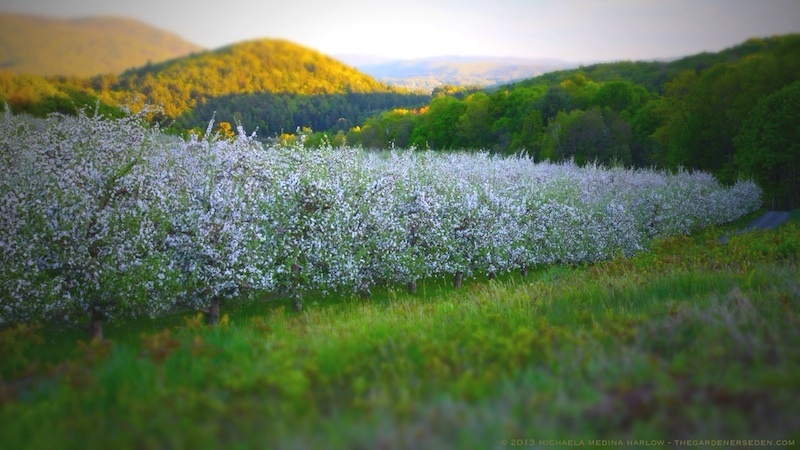 I can almost smell the apple blossoms. So pretty. 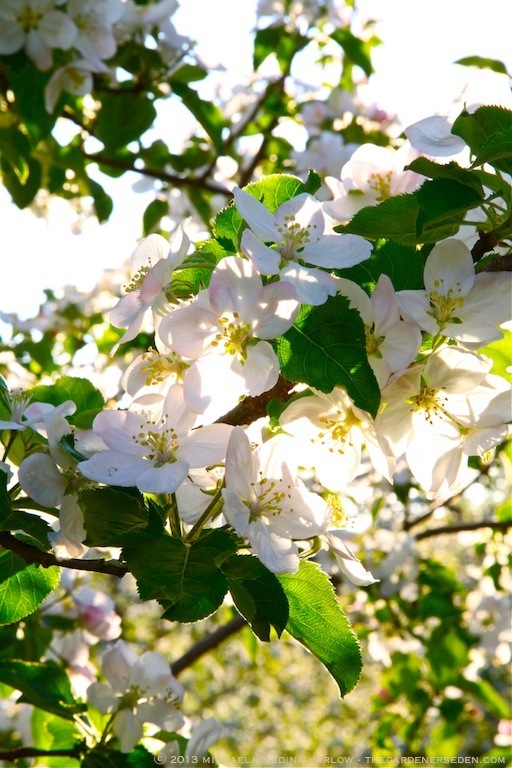 You are currently reading Apple Blossom Love in the Afternoon . 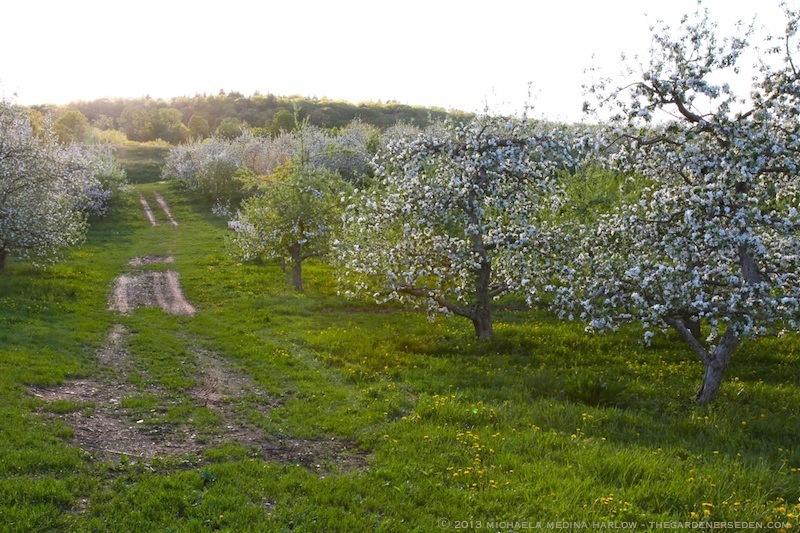 . . A Little Romance at Scott Farm Orchard at The Gardener's Eden.